You know the story. At Christmas you eat and eat and eat, but still you have all the leftovers. 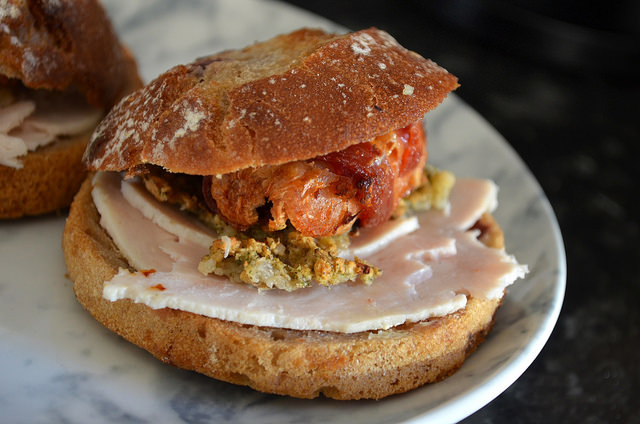 I'm not a bubble and squeak type of girl, however monster Christmas sandwiches? I'm listening. With leftover turkey, sausages wrapped in bacon, stuffing and cranberry rye*, I felt inspired to create my own pigs in blankets sandwiches. And they were insanely good. You can't get a more festive mouthful. 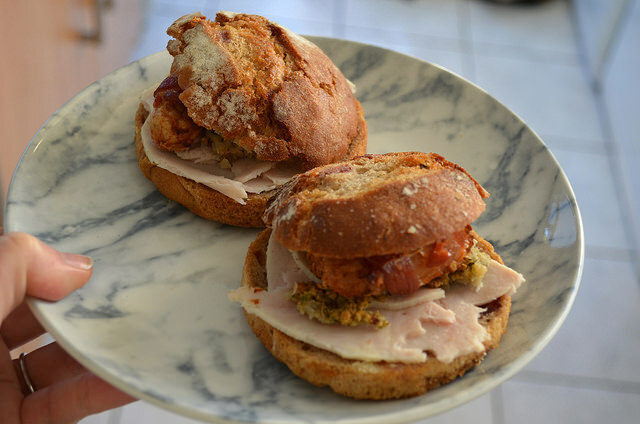 Simply load leftover turkey, stuffing and pigs in blankets into cranberry bread (my favourite recent find thanks to the Polish Bakery) and you are good to go! 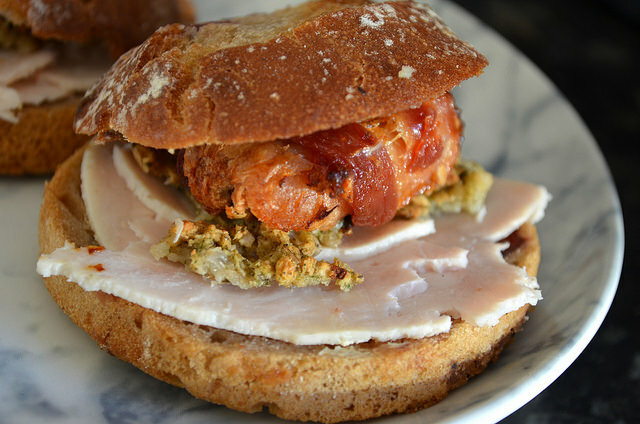 Be generous with the stuffing as turkey can be quite a bland meat. The cranberry added a nice sweetness to an otherwise savory sandwich and then pigs in blankets because Christmas isn't Christmas without pigs in blankets! *cranberry rye c/o the Polish Bakery. As ever, opinions and love of festive sandwiches my own!